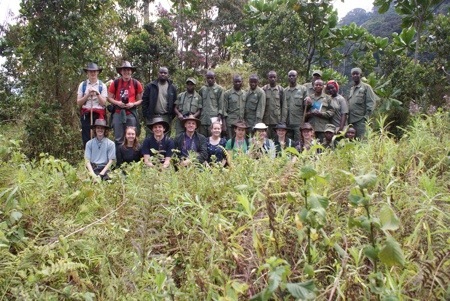 We have had an amazing day today where we took a group of 12 of Kitabi’s students into Nyungwe. They know there forest very well and we were able to learn a lot, as well as teaching them about the orchids. Thank you for all the lovely blog posts, it is so lovely to hear from you and see the photos too. You all look like you are having a wonderful time. Nice group. Lush forest. Good to see.